Kids' Book Review: Review: One, Two, Where's my Shoe? Review: One, Two, Where's my Shoe? 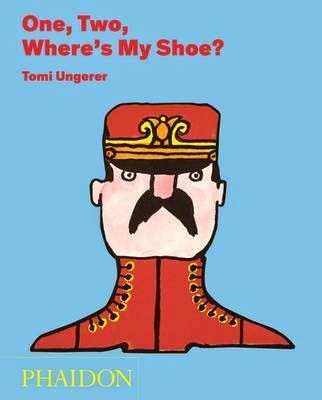 Tomi Ungerer fans will be clicking their heels in glee at this divine little book of footish fetishes. Who doesn't love a good shoe? Especially when they can be found in places other than the feet. If we look around us, perhaps we can see a boot, a mule, a curly slipper--hidden in the everyday objects we see. The head of a dog. Three crows flying. A sultan. A flock of geese. If we open our imagination, we might be able to see more than we ever dreamed. Beautiful, black-lined illustrations are flooded with glorious colour, as is the Ungerer way, and subtleties most deliciously abound. Scant text and a request to suspend belief are all it takes to fall into page after page of wonderful imagery. A must for picture book collectors and for the expansion of the imagination of children. Title: One, Two, Where's my Shoe?